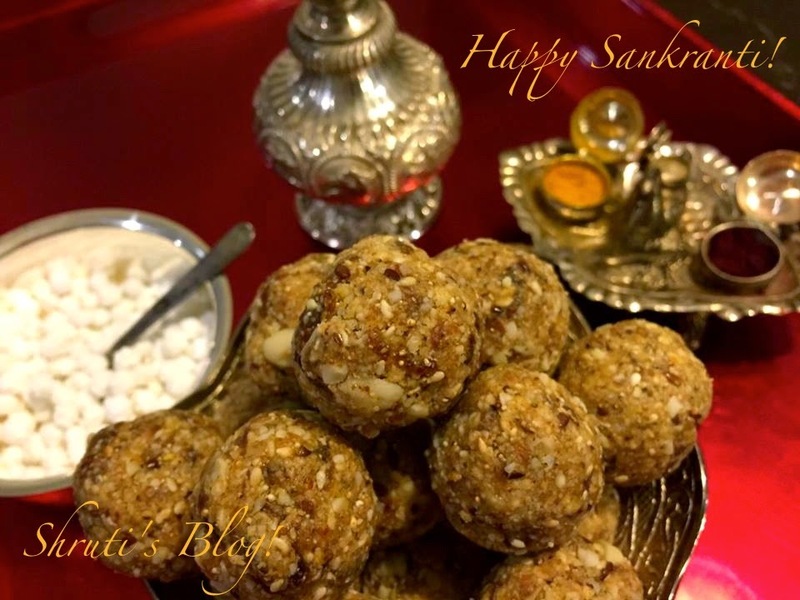 Tilgul is a generic word in Marathi for all sweets made out of sesame and jaggery or even sugar in the Sankranti season. Like with Diwali “faral” that was sent over to all friends and neighbours, til-gul or TG for the purposes of this piece, was distributed very generously and far and wide. Accompanying these offerings was of course, the statutory sweet reminders to be kind and peaceful towards one and all. One remembers TG arriving in envelopes bursting at the corners with candied til called “halwa” and little packets of haldi and kunkum. Why, long before greeting card companies took over the festival market, local producers of greeting cards made Sankranti greetings with syrupy messages and convenient little envelopes to hold the TG. It is another matter that cheeky posties pilfered this candy by making holes in the envelopes. I suppose no one had the heart to grudge them the self-help. After all, one was supposed to spread kindness and cheer, remember. It was in the spirit of this very same tradition that a range of TG was made in most households. There was the “tinsel til” type of flamboyant and colourful halwa mentioned earlier, which was a more modern form of TG. The flashy halwa was most suitable for being distributed delicately out of a silver bowl with a silver spoon. A handy token to give out during haldi-kumkum ceremonies, the “tinpot” tilachi vadi or burfi had illusions of greatness, but was at best only second-class. The crunchy kadak whole sesame and gur/sugar laadu and the brittle sesame crisp chikki were good kiddy stuff and good fillers for the loot bags for kids during a “bor-nahan”. The ‘bor-nahan’, quite literally a jujube-shower for kids under the age of five, celebrated the mother’s indulgence in her child in this time of post-harvest season rest, relaxation and richness. Mums prettified their bubs in trinkets made of sugar and til candy and showered them with a confetti of goodies like jujubes (ber), puffed rice, kadak tilgul crisps. Other kids at the bash playfully plundered the confetti amidst laughter and fun. Surely one didn’t take such toy TG seriously. The grave gulachi poli was main-course class, reserved largely for the inner circles and adults. It wasn’t in the mithai category. Moreover, a wheaten crust and the occasional besan additives adulterated the TG element of the gulachipoli. Revadis and gajaks were exotic shop-bought stuff that only “North Indians” ate. Although these were indulged in at other times, no self-respecting middle class Marathi Brahmin household would think of substituting their “sweat of the brow” home made TG with such til trifles during Sankranti. The top gun of TG was undoubtedly the til-gulacha laadu - my most favourite. Hand-pounded creamy sesame, coconut, peanuts and roasted gram, blessed with some ghee and graciously rounded off by sweet jaggery… very few sweets can match the earthy, wholesome goodness of this til and gul laadu, with more than a hint of cardamom and nutmeg! Dates are a great healthy substitute for the sweetness, texture and taste of jaggery. Although some of the ingredients used here are unconventional, they compliment each other and add myriad textures of grates, pert pieces and air-light pops that suddenly melt in your mouth. This is a vegan and low-sugar and healthier version, yet as rich and decadent as the original til gulacha laadu. Coarsely grind the roasted/toasted ingredients except the flax seeds and the popped amaranth separately. Remove in a mixing bowl. Crush the flax seeds very lightly with a rolling pin, so you get some whole seeds as well. Add the popped amaranth to the bowl. Chop the dates into fine pieces or crush them and add to the bowl. Add the spices and mix well. Melt the grated jaggery with a little water to make one-string sticky syrup and add the refined coconut oil/olive oil and pour it over the mixture and mix well. Alternately, if you are using date molasses, warm it slightly and pour it over the mixture and mix well. With lightly oiled hands roll small size laadus with about one heaped tablespoon of the mixture. Place on a plate to dry out for some time. Store in an airtight container. Thanks Shruti for posting such a wonderful and delicious blog. Now I Wonder why marathi people say ' Tilgul Ghya God God Bola'.